Buy All-in-one Brother MFC 255cw with CISS with CISS and make 30 times more quality prints for the same money! Pay only 0.04 USD for A-4 full color print! This machine offers you a great number of functions which you will definitely find in an inkjet printer of excellent quality. It has bright quality output , printing with the resolution of 1200 x 1600 dpi. The printer supports the following formats such as Watermarks printing, N in 1, Color Enhancement technology and other features. The device uses the USB port to get connected to your PC. 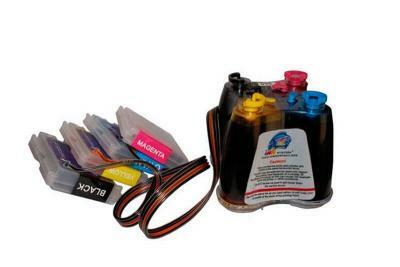 Low cost of printing cartridges is also should be taken into account, because you will need to replace the cartridge only but not the entire ink block. The device may print from your PC while fulfilling other tasks such as: scanning, receiving faxes. Also the customer may choose the print resolution and different modes of printing the documents. The paper size should be selected according to your choice and even choose borderless printing mode. The colors of future prints are also adjusted to your necessary ones. You may select from Vivid and Natural modes of color settings. The coping mode is characterized by the settings of the number of copies you need and the reverse order of printing copies is also available. You can print on both sides of the paper if necessary. Photo printing is highly optimized due to the special program -- Facefilter studio, using such features as photo editing, red eye reduction and skin tone adjustment. Due to the Twain driver installed you can scan images not only in the Paperfont but into many other applications and even make prescanning to crop a portion of the image you need. The printer is equipped with special software Control Center3 for easy access to necessary applications, e.g. it may scan directly to a file, e-mail, access COPY features, Photo capture center, configuration settings etc. The customers will be absolutely pleased with the following device features. The use of the Remote setup program lets you make special configuration for the brother mfc-255cw wireless inkjet all-in-one printer from the Windows application. 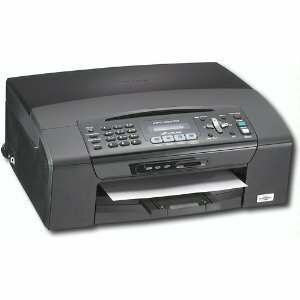 The Brother PC_FAX function allows you to send a document file from an application as a standard fax. You can also set up address book for PC_FAX sending if Windows Mail, Outlook or Outlook Express is installed on your PC. 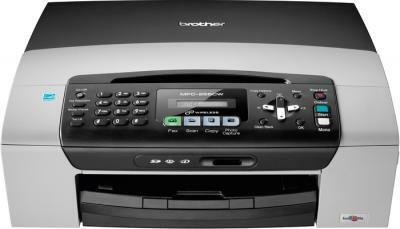 With the help of this feature the user may easily send document faxes to one address or even use a group broadcasting. 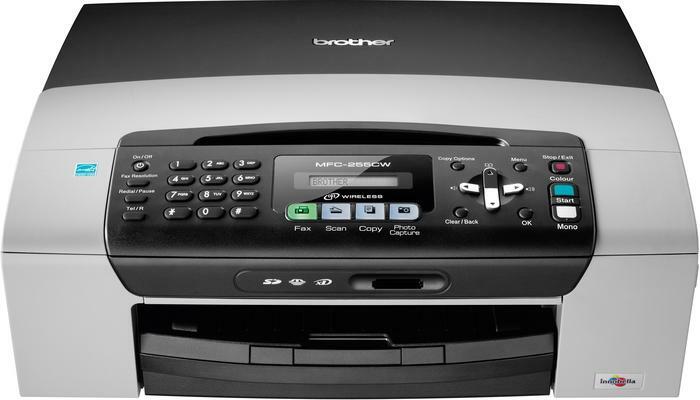 The family of brother printers mfc-255cw may work well with the Apple Macintosh computers due to special settings in the printer which allow you to enjoy the quality printing and scanning via these devices. Recommended Paper Brands Innobella?вЂћ? Glossy 8.5" x 11" Photo Paper (BP71GLTR); Innobella?вЂћ? Glossy 4" x 6" Photo Paper (BP71GP20), Brother Inkjet Plain Paper (BP60PL), Brother Matte Inkjet Paper (BP60ML), and 3M 3410 Transparency Film. Paper Handling Size - Paper Tray Letter, Legal, Executive, Envelope (C5 Envelope, Com-10, DL Envelope, Monarch, JE4 Envelope), A4, Photo 4"x6", 3.5"x5", 5"x7", 5"x8", 8"x10"
Maximum Paper Width/Length (Paper Tray) Legal 8.5" x 14"
Unit Weight (lbs) 15.9 lbs.